Apps for the iPhone and other smartphones have become surprisingly useful and sophisticated. In fact, they’ve become so advanced that they’re branching out beyond the phone to incorporate plug-in accessories as well. 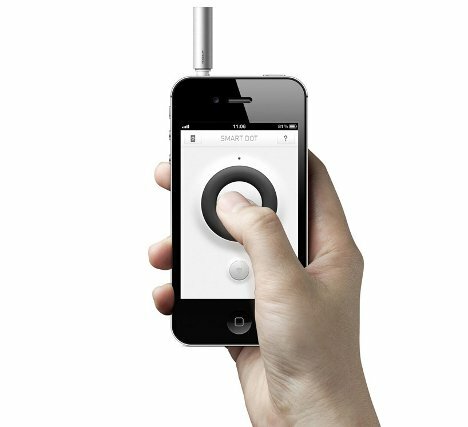 The Smart Dot is a laser pointer accessory that’s controlled by plugging into an iPhone or Android phone. 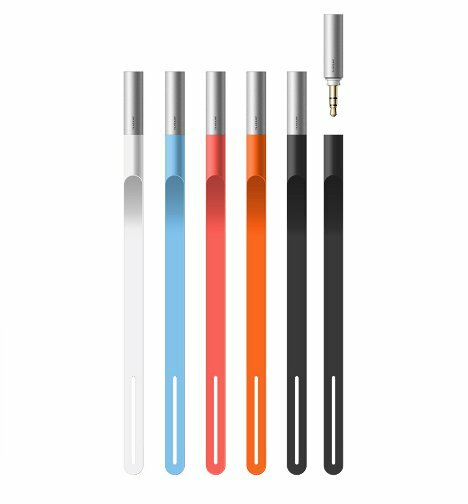 The laser pointer is a tiny nubbin of a thing that plugs into the phone’s 3.5mm headphone jack. The associated free app lets you control the laser pointer from your phone’s screen – but there’s a lot more to the Smart Dot than just pointing at stuff on the wall with a little dot. The Smart Dot also works as a virtual mouse pointer and as a presentation tool, helping you navigate around slideshow presentations on your computer. 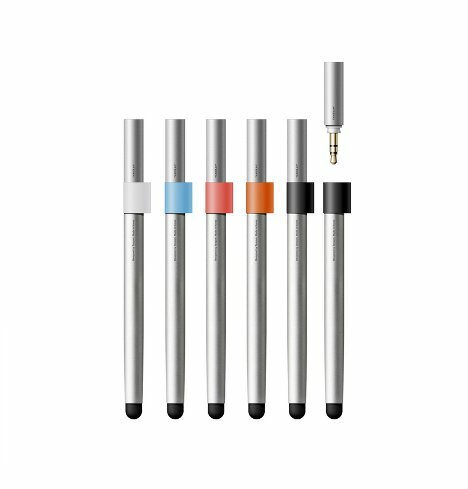 And when you use the included stylus accessory it’s a handy stylus for your iPad while storing the Smart Dot dongle. You can alternatively use the strap accessory that lets you attach the Smart Dot device to your purse, belt loop or whatever. Tangram, the company behind the Smart Dot, has dubbed app + accessory products like this “appcessories.” They want to offer customers something more valuable than a piece of plastic with a limited-functionality app, so they’ve done their best to make their product into a multi-functional must-have gadget with all of the operations you’ll need.